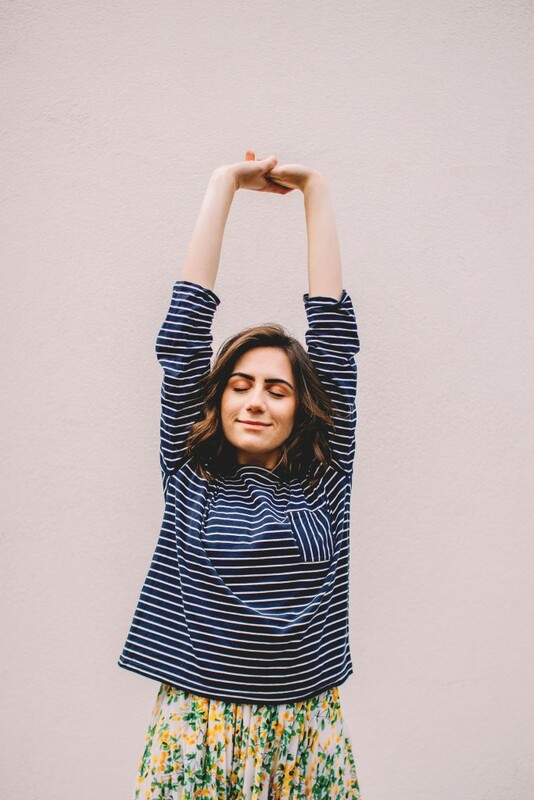 Kickstarting her UK and Ireland tour this week, we caught up with singer/songwriter Dodie last week, to chat about touring, songwriting, and mental health. So, you’re set to head off on tour across the UK and Ireland, how are you feeling in the lead up to that? I’m excited! I haven’t done rehearsals yet, so at the moment I do feel a little unprepared and worried, but I think that’s the same with any show. We’re all just collecting our ideas and we have a few days to solidify them and put them together before rehearsals and then we’ll know. And will you be taking a full band on this tour? Yes, yes I am! So, it’s me, two string players, a bassist, drummer, guitarist. Nice one! So, we’ll get back to ‘Party Tattoos’, your most recently release, in a little while. I firstly just wanted to touch on ‘You’ EP, and most specifically the track ‘6/10’, as I think it’s a stunning song both lyrically and musically, if you want to talk a bit about how that came about. Yeah of course, thank you! Well, I used to go through these periods of just not feeling good enough and feeling like something just hanging around and that if I was gone no one would really care or notice. I know that’s not true now, I don’t feel that way anymore, and I don’t think anyone else should feel that way. But, my friends had this kind of joke where they’d say ‘6/10’, and everything’s a 6/10 if it was ok and fine, and I realised that that’s exactly how I felt. So I wrote it around that feeling, and I used to feel it a lot more as a teenager so I had to dip into her and walk around in her eyes for a while and revisit that, which is really interesting, and I think kind of therapeutic because it helps me to kind of close that door and that feeling, although it might crop up and now and again. And I also want to talk about how I actually made a video asking if people wanted to send in clips of them singing along, and we got like thousands and thousands, and my producers kind of edited them down, so all the voices that sing in that last section are people that know me and people who listen to my music, and that just gets me so hard in the sense that everyone feels so alone and not good enough but we all came together to make something really good, and I think it’s just so wonderful! I think the music video also tells a huge part of the song and almost a story in itself, what was that experience like? I worked on the music video with my best friend Sammy, who produces a lot of my stuff and directs it as well, and also my choreographer. And we worked on a dance motif to symbolise that insecurity and anxiety, and I use it in the video kind of going through my day-to-day life and then I see a bunch of people who I’m comparing myself to and then they all use the dance motif and we’re all in this together. So basically I just wanted to convey that everyone feels this way and everyone has these insecurities and therefore, no one should feel them at all because it’s not true. Yeah, I think it’s a very descriptive and honest video. And the whole issue of mental health is something that you’ve been very open with online, and I know it has definitely helped a lot of people. Was that a very natural progression with your Youtube channel where you just felt more comfortable in front of the camera, or how did it come about? Yeah, I don’t think I ever set out to be such an open person, but I think just the way I was raised I’ve always been very open and vulnerable, and sometimes too much, I think my battle is not learning how to open up, it’s learning how to hold back, which I have been doing a lot more of recently, but I think I just spoke about what I knew and continued sharing and then collected a bunch of people who also felt the same way, which is wonderful. I think the honesty probably makes people feel a lot more connected to your music as well, in terms of the subjects you’re writing about and how raw it probably is. Yeah definitely, I think it’s nice because people can see what I’m thinking about on my channel where I’m talking a bit more, and then a song can crop up that’s around the same theme, and I’ll notice people being like “hey I remember this, this is inspired by this moment”, and I used to love doing that, putting puzzle pieces together of people words and see what it’s about. And obviously sometimes people are wrong, like people don’t always know my life, but it’s fun to share. In terms of songwriting in general, what’s the usual process you would take; lyrics first, melody after, or how does it change and alter? It changes a lot! Recently I’ve been trying different things because I’m in a bit of a writer’s block at the moment. But, usually it comes from an idea or theme, or it might be inspired by a bunch of things happening in my life, or even in a show or a film. Or even just someone saying something on the train that fits rhythmically I’ll probably write it down! And then yeah, I play around on a few instruments and try find something that fits, like a melody or a motif or something. And then just collect ideas and musical phrases and try write into it. Just getting back to ‘Party Tattoos’ which is your latest release; have you got to play that song live much, and have you noticed a good reaction so far? Yes, yes I have! It’s actually one of my favourite ones to play live because the chorus is so together! It feels so right. So, I play two choruses at the end, and I usually play with in-ears so I can hear myself and hear the band, but I always take them out at the last choruses ’cause I want to hear everyone, and it’s just so lovely! The chorus says something along the lines of “this is life, we’re gonna be bruised, and that’s ok, that’s what it’s for, life is great”, and I usually play that song after a bunch of sad songs, so it’s nice for everyone to be like “alright, life is great”! Finally, what’s next for you or what can we expect to see or hear? After this tour I don’t think I’ll be touring again for a while, at least in the UK because I’ve done that a lot recently, so I think I’ll be focusing on writing, I’ll be in the studio a lot, and just taking that space to try find my feet with writing again. Because I think recently I’ve had a lot of pressure to write, and I think the next few months will be about keeping that away and trying to remember what I love. You can catch Dodie playing in Dublin’s National Stadium tomorrow, March 21st.